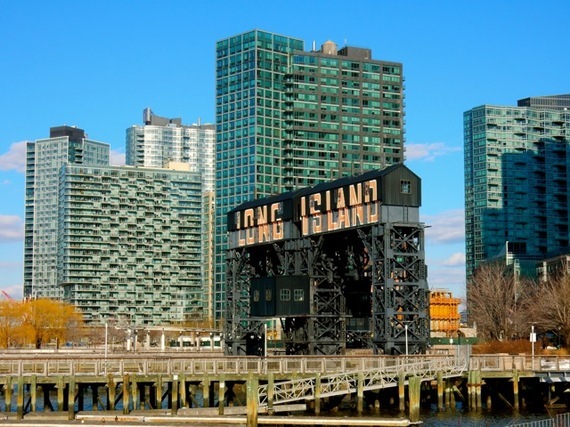 Unlike Huntington, Port Jeff, The Hamptons, and the rest of Nassau and Suffolk Counties, Long Island City and neighboring Astoria reside in the borough of Queens, one subway stop from mid-town Manhattan and right on the East River. You'd be forgiven if you thought that Long Island City was on Long Island, because, geographically speaking, it is. But unlike Huntington, Port Jeff, The Hamptons, and the rest of Nassau and Suffolk Counties, Long Island City and neighboring Astoria reside in the borough of Queens, one subway stop from mid-town Manhattan and right on the East River. 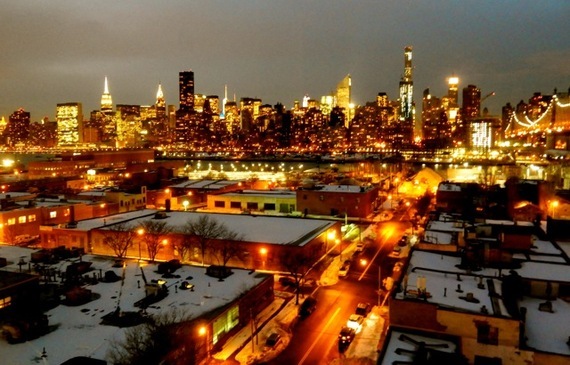 Of the five New York City Boroughs, Queens is perhaps the most ridiculed. (Encompassing a town called Flushing doesn't help matters). Surprisingly, however, Queens has been on the cutting edge of filmmaking (Astoria Studios), sculpture (Noguchi) and contemporary art (MoMA PS 1) for decades, without much fanfare. And locals, thank you very much, would like to keep it that way. Fat chance. 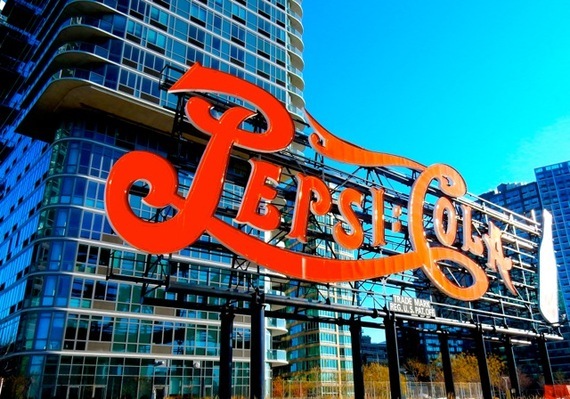 Though it devolved into drugs and prostitution in the 1970's, Long Island City - the whole of Queens, actually -- is experiencing quite the revival. Lately those who have been priced out of chic Manhattan and hipster Brooklyn are finding cheap eats, lots of art, and relatively inexpensive digs a mere ten minute subway ride from Grand Central Station. 1. 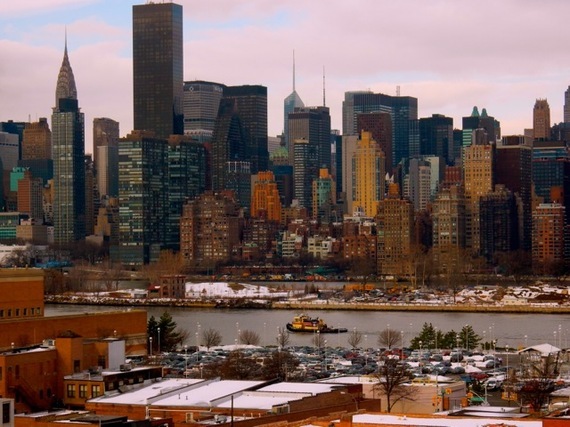 Brooklyn may overlook Manhattan's southern end, but Long Island City and Astoria offers full on views of the UN slab, radiator-topped Chrysler Building, iconic Empire State Building, and other Midtown NY skyscrapers that together form one singular sensation of a panorama. See it in all its glory from the funky and upscale Z NYC Hotel, designed so that all 100 rooms face Manhattan, and That Knockout View! 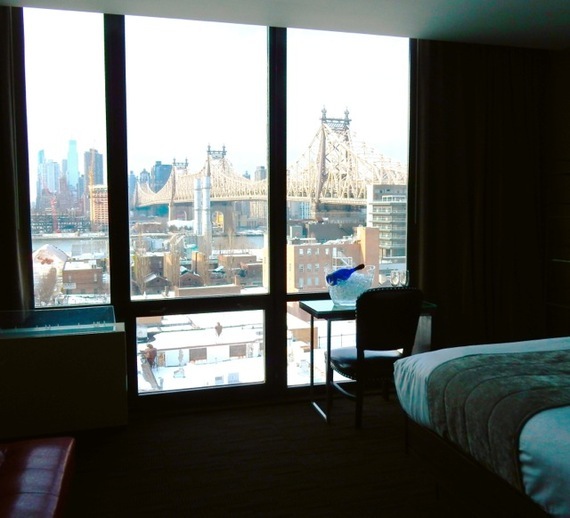 Beds, with silver-leather backboard and soft new sheets and duvets, are of the "I don't want to emerge from toasty comfort" variety, so you don't have to move a muscle as you watch the skyline glow in sunset and the lights of Manhattan turn on just outside your window. 2. You'll be "Feelin' Groovy," too, as you stare at or cross the 59th Street Bridge (aka Ed Koch Queensboro Bridge). Yes, this was the bridge that Simon and Garfunkel crooned about in their famous "slow-down" song, and it stretches from Long Island City to Mid-Town Manhattan over the East River and southern tip of Roosevelt Island. 3. Take a deep dive into one of Queens' first major industries: movie-making. Astoria, Queens has been home to filmmaking since technology conferred the illusion of movement onto a series of still photographs. 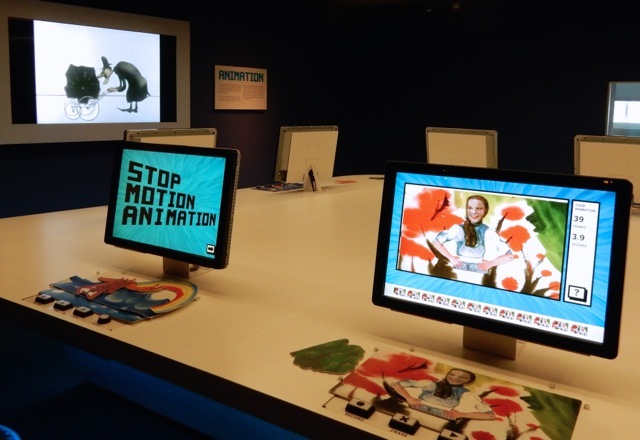 The Museum of The Moving Image celebrates this celluloid and digital history through innovative interactive exhibits and a range of programming that includes the introduction of Indie films (500 screenings/year from classic to experimental), Major Motion Picture previews featuring Q&A's with stars and directors, and discussions revolving around the industry in a brand new 267-seat theater. 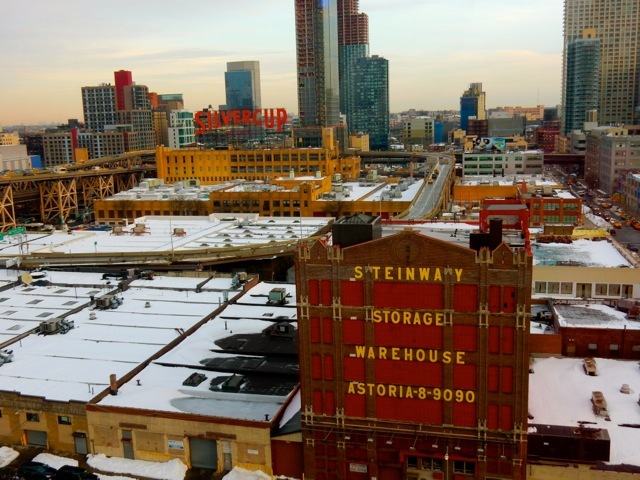 The museum's history is tied to the next-door Astoria Studios, which opened in 1920 and became Paramount Picture's East Coast facility until moving to Los Angeles in 1933. Now, Orange is the New Black, Sesame St., the Borne movies, Girls, Madame Secretary and dozens of other shows are produced in the new Kaufman-Astoria Studios and Silvercup Studios less than a mile away in Long Island City. 4. There are only two MoMa's (Museum of Modern Art) in New York City, and one is in Queens. 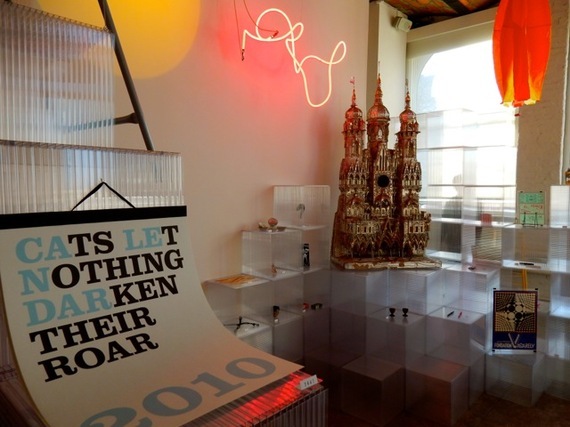 MoMa PS1, set inside a repurposed 1890's school building in Long Island City, is MoMa Manhattan's much edgier sister. 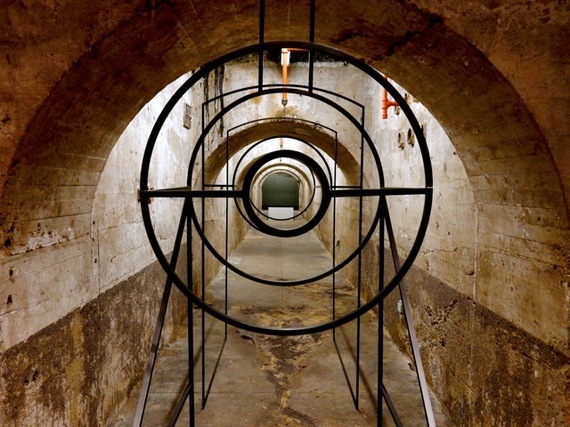 Three floors of thought-provoking and experimental exhibits, videos and other installations will keep you busy (and sometimes scratching your head) for a couple of hours. 5. The showroom/museum of one of the world's most famous furniture designers has been in Long Island City since the 1970's. 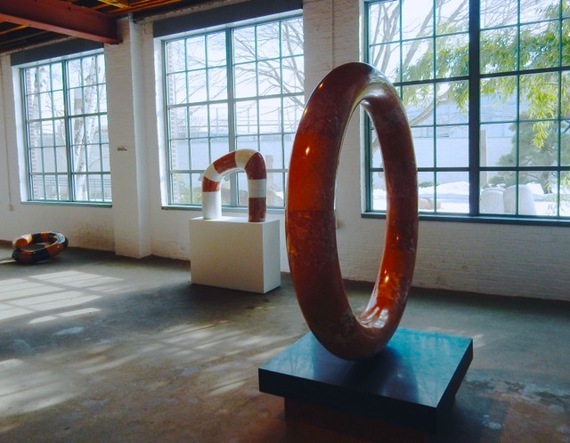 Sculptor Isamu Noguchi moved to Queens in 1961 (due to an abundance of professional stonecutters nearby) and, in 1974, he purchased and then overhauled a vacant photo engraving plant and gas station across from his studio/home into a showroom for his work. In 1985, the space opened to the public as the Noguchi Museum. You'll recognize Noguchi's familiar "light sculpture" lanterns and paisley-shaped cocktail tables in a well-stocked gift shop, but his beautifully wrought stone, metal, wood and clay pieces and stunning courtyard garden will also capture your heart. 6. Noguchi led the way, bringing sculpture (and patrons of the arts) to Queens, and now, Long Island City is chock full of indoor and outdoor sculpture museums and venues. The "non-collecting" Sculpture Center, in a 1908 trolley repair shop re-imagined in 2002 by Maya Lin, with an expansion and renovation by Andrew Berman Architects in 2014, houses dynamic works from emerging and underrepresented artists. 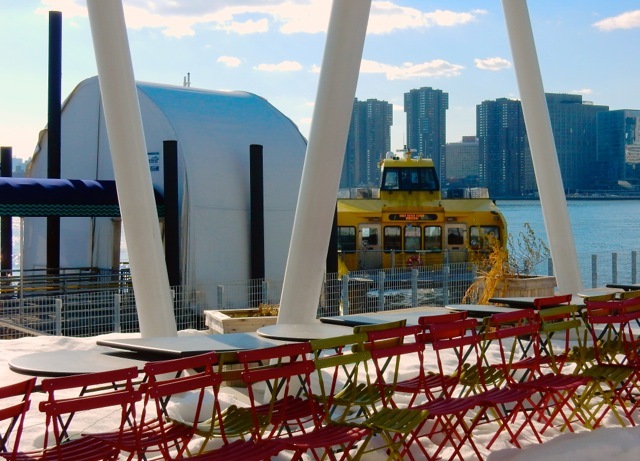 And the East River front Socrates Sculpture Park, a favorite of dog walkers and art lovers, is the only public area in the city committed to providing large-scale artists a chance to showcase their work. 7. Gantry Plaza State Park along the East River celebrates the old railroad car cranes (gantries) that were used to unload goods from cargo ships to railcars bound for eastern Long Island. You'll also find the huge Pepsi Cola sign, all that's left of the soda bottling plant that stood here. 8. Hunters Point South Park is Long Island City's "High Line" but ground-level and with better views. Sprinkled with benches, pavilions, cafes, playgrounds and gardens, this East River esplanade provides incredible Manhattan vistas with access to ferries bound for Brooklyn and Manhattan. 9. Vernon Blvd. is fast becoming a foodie destination, with every type of cuisine imaginable. But in all the excitement of the new, stop into a relatively traditional Long Island City establishment -- Sweetleaf coffee house -- which, in its first of three locations on Jackson Blvd, has been a hub for java aficionados for eight years. 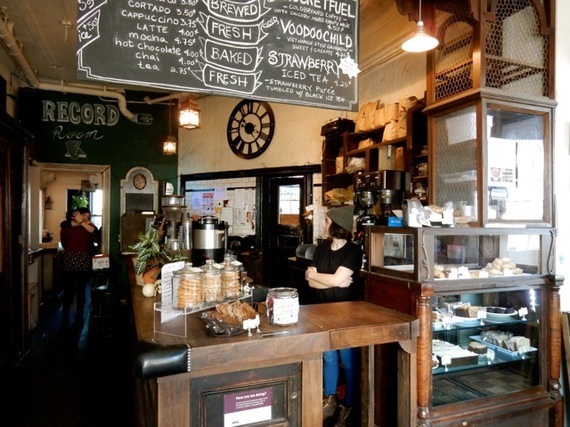 The "antique-chic" vibe enhances the already outstanding house-roasted coffee and from scratch baked goods.